This weekend we will disclose the first reward command tree for Ostheer, and it is about Romanian support. We talked about this for several days and it is ready to be presented as base to be added ingame. Request Romanian reinforcements! 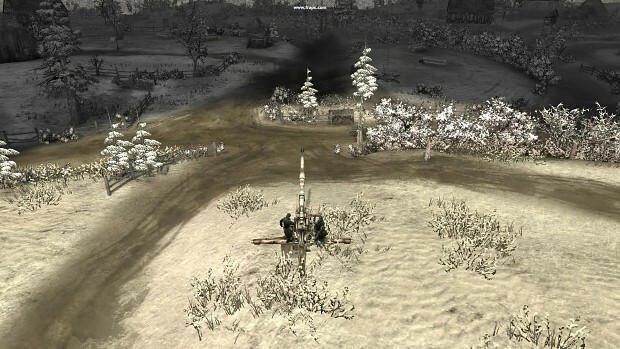 The players receives a Panzer 38(t) with a sapper squad; these Romanian sapper squads are specialists who can building any type of structure as long as you have the resources; they can build the same structures than Sturmpioneers but their perk is decreasing the construction time of buildings, field defenses and combat structures they build. They can also repair neutral buildings. 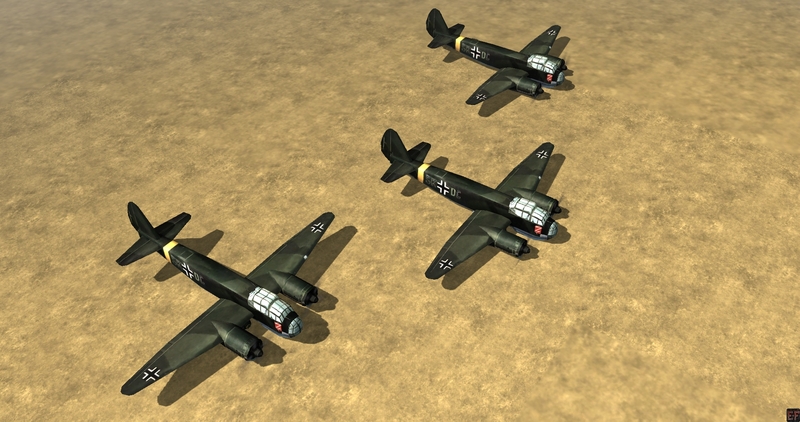 This bomber(Romanian textured plane in case you are wondering) will drop three bombs in the targeted area. Cannot be used in the HQ Areas. Foreign Panzer units are sent to support the Ostheer commander. These reinforcements are: Romanian Panzer III ausf. N(stubby, similar to PE stubby), tank destroyer TACAM T-60 or a StuG, and Vanatori de munte squads. Assist the German commander with a better flow of fuel. Each time one strategic point is captured (manpower ones, not munitions nor fuel) you receive an additional unit of fuel. If the sectors are cutoff or become neutral/enemy, you stop receiving the fuel bonus from them. Allocate all the resources available to fight! This munition-based timed ability allows you to increase your manpower flow by 50% for a full 1-2 minute(s). The munitions/fuel flow rate is decreased by 25% as long as the ability is active. Allows you to construct a 88mm Flak 36 gun which has the same longe range and penetrative power than the German counterparts, but is also more expensive to construct(you can't decrew it that easy). It has a munition based ability which allows it to fire like a howitzer. 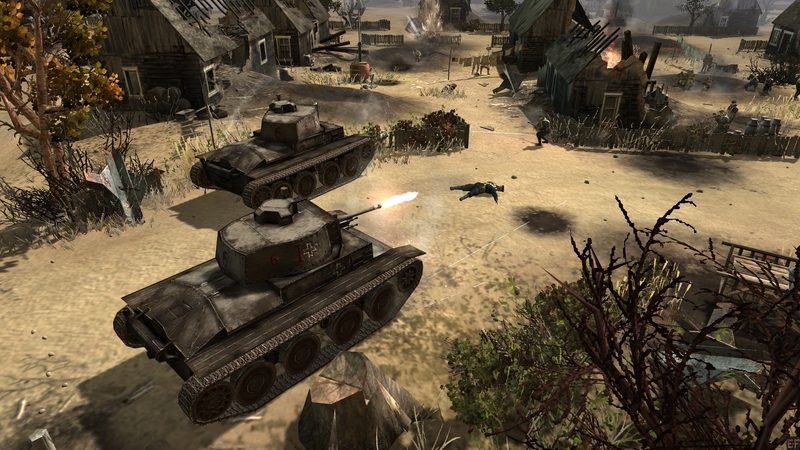 Hard to deal with by enemy tanks but can be dealt with by artillery and infantry in general. (Can be built by Sturmpios or Romanian Sappers). We have planned if possible to include the TACAM using the T-60 as base, but we can't promise we will finish it on time so, the StuG would be used instead. To make Romanian soldiers we will reuse some units with new textures, but so far we haven't started with this yet. If you have any comment or tip please let us know. We don't have a name for this tree yet, so if you have a suggestion it is welcome. Awesome! Really like the sapper idea! But did I miss read the previous update, werent wehrmacht suppost to get the foreign support stuff? Most likely, you misread it . Wehrmacht gets the Sturmtiger reward doctrine(so far, in the beta it replaces Blitzkrieg doctrine I think), named "Urban Combat Doctrine". Ostheer gets two foreign trees as granted (Romanian and Hungarian), the third tree could be made for Italians/Finnish support(if we assemble the right ideas) and the other vanilla factions might get reward trees as well later. Or we might make a Finnish reward tree alone and we make the Italians as reward for Wehr, but that would mean more models to do because the Italian army fought using different assets in the Eastern Front and in the Western Front. If you have the update already cant you just give us a manuel download link and dont wait for steam? Nope. All the progress will be released once the Steam version is ready. May i ask what the Auseklis is doing on those Rumanian tanks? I'm not aware of the Lettish symbol being used by the Rumanians. That's right. It's a pagan symbol used by the Letts, but i wasn't aware of it being used by anyone else; It's a current national symbol of Latvia. Croats also use a similar one (not sure if they still use it though). The cross was on the regular skin, as well as the roundel. It'll remain the same on the new skin too... I may do a bit more research into creating a realistic skin, although images of Romanian PzIII's are few a far between. If anybody has images of Romanian PzIII's, book scans whatever, they'd be appriciated... otherwise I'm just going to have to take some *gulp* artistic liberties. In the eastern front the Romanian tanks had big numbers on each side with an empty B/W Michael cross and a big yellow Michael cross on top on the tanks, i presume all Panzer III's were painted that way as well. What are you planning then as reward doctrine for the Panzer elite? Since Wehrmacht and Ostheerr got both one i would be just fair to spend them one too. 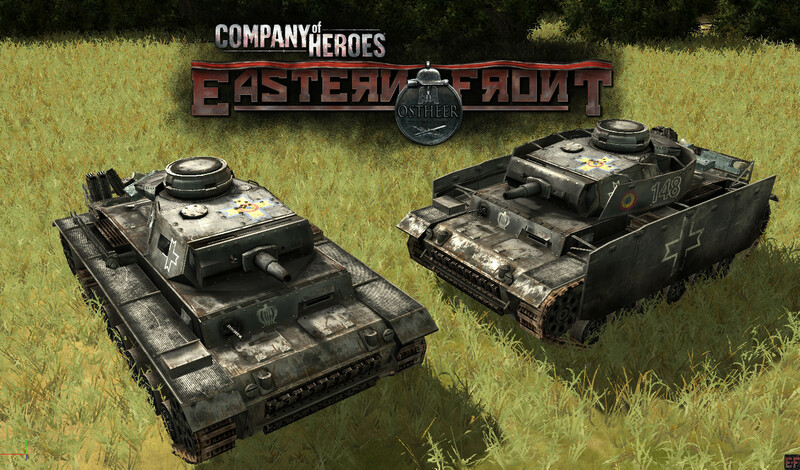 As the romanian tree i would propose the name Romanian first Panzer support troop or something liek this. Or maybe we could take one of those company names they had at that time when they fought along side the germans. I guess also that USA will get Canadian and Australian reward tree and Brits also Canadian and maybe Norvegian reward tree?? Someone suggested "Romanian Expeditionary Troops" for the doctrine name. Though is not set on stone, so "Romanian Panzer Support Troops" might be a contender (notice I removed first because the name is too long otherwise). Also, the Manpower and the Fuel abilties in the tree will swap each other(which now I did).